Doljabi.com is currently being operated as a hobby site with objectives that does not involve a motive or an intent to generate revenue. We provide all services and contents of this site free of cost and hope to keep it that way for as long as possible. Although we are a hobby site, we are very serious about curating the best and the most relevant contents to our visitors. Below are our 2 primary objectives. 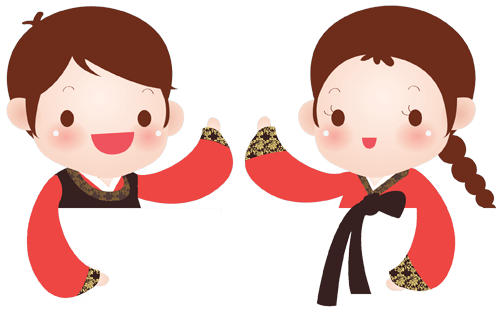 Provide extra resources and guidance to parents and planners preparing for Doljanchi (Korean First Birthday) Celebrations. Connect vendors with more targeted and qualified leads. Since our site is operated by a small team, we would benefit tremendously from the help of the community. Whether you are a parent of the birthday child or a photographer, you may have access to some great set of Doljanchi (First Birthday Party) and 100th Day Celebration photos. We are looking to populate our featured parties section with more photos from Doljanchi, 100th day celebrations where each event is surely unique in its own distinct way! There is just one requirement we ask of you. You must either have the rights to use/redistribute the photos, or can obtain express permission from the owner(s) of the photos which allow the posting of these photos on Doljabi.com. and of course, the most important of all. The Photos! As a token of appreciation, we will reciprocate by placing a lifetime image banner ad of your business or a personal blog on the right sidebar of the party page. This is a fixed banner of approximately 260 x 450 (WxH) dimensions that is permanently placed, rather than a temporary rotating banner. Do you know any or have you had good experiences with a certain vendor who provides doljanchi related services? The vendor could be a photographer, event planner, a party venue, hair stylist, or a vendor within any category of our Vendor Directory. Please tell us about this vendor you think highly of by submitting their contact information. Your vendor submissions allow us to populate our Vendor Directory with more quality vendors, which in turn helps future parents and planners find these highly regarded vendors in their local area through our flexible vendor search system. We list all of our vendors in our Vendor Directory in one of two ways. Vendor contact information is submitted by community and/or Doljabi.com Team. Vendor directly registers and joins our Vendor Program. By a third party person (you) submitting vendor information to us, the vendor will be placed in the first category (in bold). While your vendor submissions are SO VERY helpful, it would help us even more if you can mention Doljabi.com to the vendors and ask them to join our Vendor Program directly. Please also mention the free benefits we provide to our registered vendors. Become a Guest Blogger of Doljabi.com and publish new or (republish) periodic contents. Do you already maintain an online blog in the parenthood, motherhood, Korean-American, or just general Korean tradition space? We would love to have your creative writing featured on our blog. Blog articles must primarily be written in English only. Korean, or traditional Chinese characters may be used to depict certain traditional keywords and/or terms. Unless the photos used in the articles are rightfully yours, you must obtain express permission from owners of photo(s) used in your blog article to be published on Doljabi.com. Provide URL to your personal, business blog so that we can backlink each of your articles back to you. Acknowledge that Doljabi.com may at our discretion delay or prevent publication of certain blog articles for reason(s) which we will always express to you and work towards its resolution. As most blog articles on the internet, we provide sections for author’s bio, backlinks to personal or business blogs/sites on each blog articles published. In addition, your author profile will be included in the pool of authors to be featured in our “Top Authors” section for added publicity. E-mail support@www.doljabi.com and request to obtain author privileges on your account. Once your account has been given author privileges, click on “My Blog Posts” on the top bar menu. Share Doljabi.com with your friends and families, and share on Facebook, Twitter, etc. Our gratitude for your contribution can start from something as quick as a facebook share or a tweet on twitter. It keeps us pushing and working harder in the presence of fans and visitors who find us worthwhile enough to share with their friends and families. Provide us any feedbacks and/or suggestions from your experience browsing our site. Help can sometimes come from areas where we least expect it. We would love to hear your feedbacks and suggestions on how we can improve our site.